A perfect recipe for a cold Autumnal day is this autumn apple upside down cake. It turned out surprisingly well and was a nice mid-week treat. I used some apples a neighbour had given us from their apple tree but any cooking apples will do fine. Normally we use our own apples as me and Mr. Nomad pick them from a local tree in the village, but we have stripped the tree bare so being given these was the perfect excuse to get baking! 1. Preheat oven to 350F / 180c. Place the 76g (1/3 cup) of butter in a baking tin roughly 9x9x2. Place it in the oven for 5 minutes or until the butter melts. Take it out and sprinkle brown sugar over the melted butter; stirring until it’s all mixed in. Arrange some of the apple halves in the mixture with the cut side of the apple down. Bake in the oven for 10-15 minutes until the sugar is bubbling. 2. Whilst that is in the oven, peel the remaining apples and then shred them with a grater then set aside. In a mixing bowl, combine flour, granulated sugar, ginger and cinnamon. Add the grated apple, milk, 57g (¼ cup) of butter, an egg and vanilla or almond extract. Mix these together well until all combined. At this stage it won’t look very appetising but it will be good I promise! Once the sugar is bubbling in the tray in the oven, take it out and spoon the cakey mixture over the apples evenly. Some butter may be exposed but don’t worry about this. 3. Bake for 35 minute or until a knife inserted in the centre comes out clean. Cool in the tin on a wire rack for 5 minutes. Loosen the edges and invert onto a platter (I used two chopping boards either side of the tin to make it come out without breaking). Cool for 20 minutes and serve! Perfect with ice cream or yogurt. I made a gluten-free version by using Doves Farm gluten-free flour, and I used coconut milk instead of milk. What autumnal treats have you been enjoying this November? When planning a trip to Scotland, it's actually really difficult to choose where to go. Although it's quite small, the distances between things are quite large and often require ferries. We took advice from both my dad who has motorbiked around Scotland for decades, as well as a mixture of TripAdvisor and general research. We had a fairly short time frame as we wanted to do the trip on a budget, so didn't reach the far North of Scotland or any of the islands as the ferries were quite pricey- but one day i'd love to go back there and do these. However, we still had a really good time and managed to find some great places to go, and all for free! 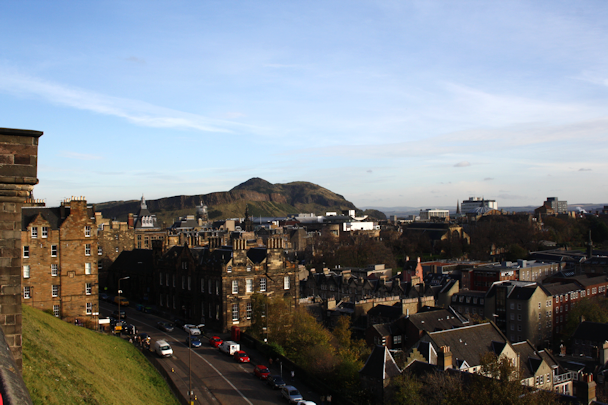 Our main checkpoints for the trip were to explore the Scottish countryside and visit Edinburgh. 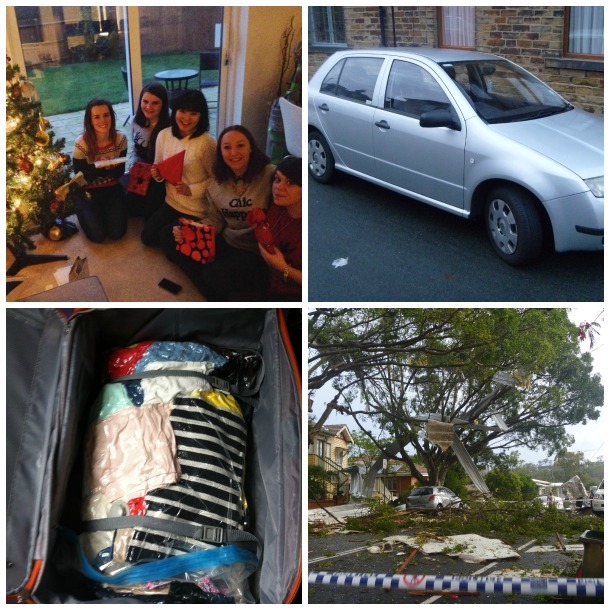 We managed to do both of these and drop in to see my sister at the University of Durham on the way home. This was actually my favorite thing to do in Scotland. True to Scotland's reputation, it was raining the majority of the time we were there so unfortunately we didn't get any good photos due to how dark and miserable it was, but the scenery remained stunning. None of our photos did it justice at all. 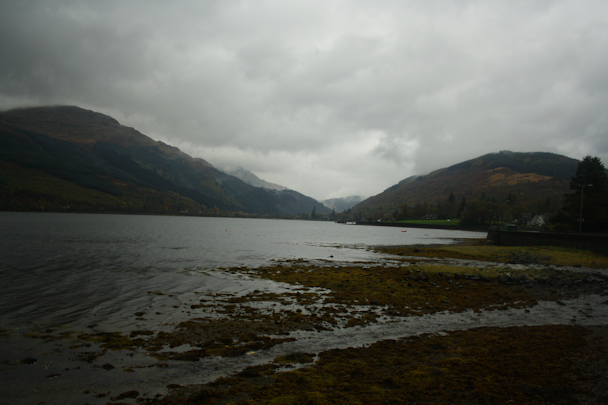 We actually saw an Audi set that were clearly filming an advert around Loch Long. Edinburgh was a funny place; it has a nice historic feel about it but I also found it quite cold with all the granite around the city. As we've lived in York for the past year, i actually think i preferred it in York but we still liked Edinburgh. We didn't end up going to the castle as the entrance fee was expensive, but we just enjoyed walking around the place. 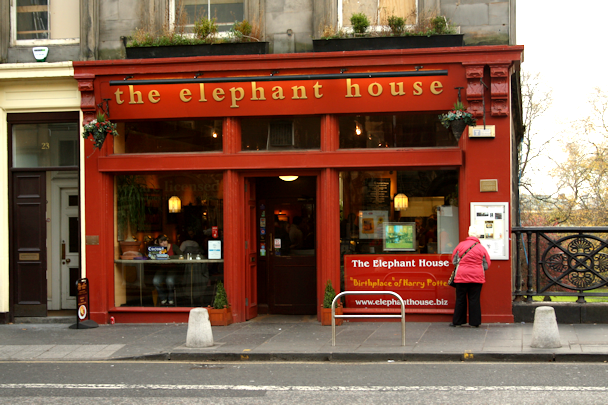 We also visited the obligatory Elephant House where J. K Rowling wrote much of the Harry Potter series. This was a slightly strange one that i found on Pinterest. 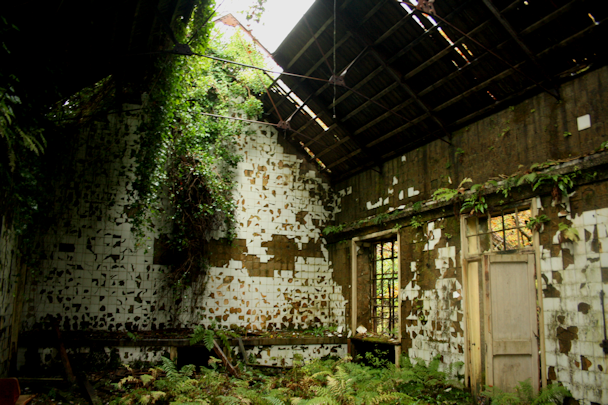 As a teenager me and friend were interested in urbexing (exploring abandoned buildings- not as strange as it sounds!) and taking photos and this place had a great history to it without all the usual security issues to contend with. We had a bit of trouble finding it as we had to drive through fields (which to us non-country folk felt a bit weird) and driving through private access ways, but the locals were really friendly and were happy to show us where to go reach the estate and church. 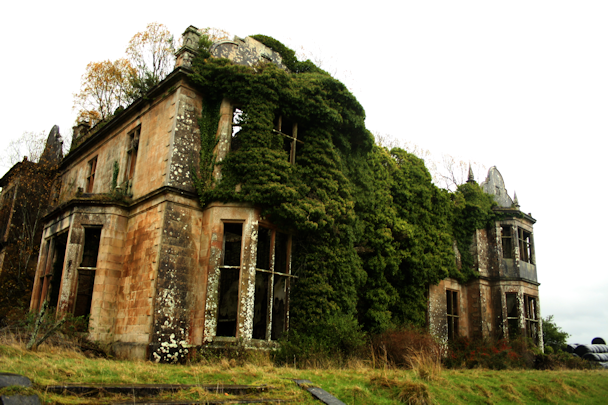 You obviously have to be wary when walking around this place, but essentially it's an old manor house and gardens in which the roof was burnt down in order to avoid paying housing tax on it. It was fun to explore around and was a great bit of history. To get there is slightly difficult, but feel free to email me and i'll give you in depth directions! We spent a good amount of time here, and would really recommend it to people with children as there's lots of interactive things to see and do including probably the best wildlife gallery we've ever visited. 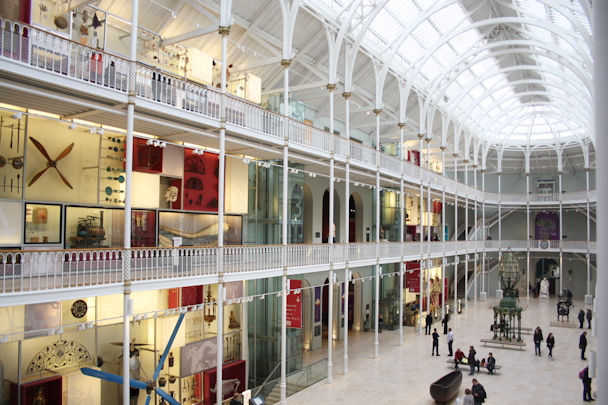 The building itself is a lovely bit of architecture and adds to the experience of exploring around the vast number of galleries. Falkirk seems to be a hub of great places to visit, so was an unmissable location on the drive down to Edinburgh. 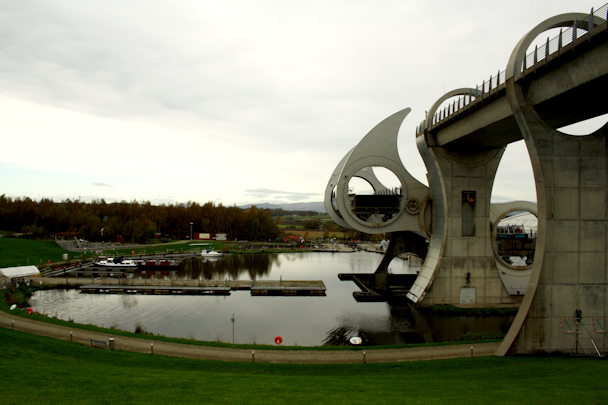 The Falkirk Wheel is on a canal and instead of using the traditional lock system, uses a rotating wheel to move canal boats down to the next level of the canal. Parking was expensive, but you can watch the wheel for free, as well as walking up to the Antonine Wall (a stone and turf fortification built by the Romans before Hadrians Wall). 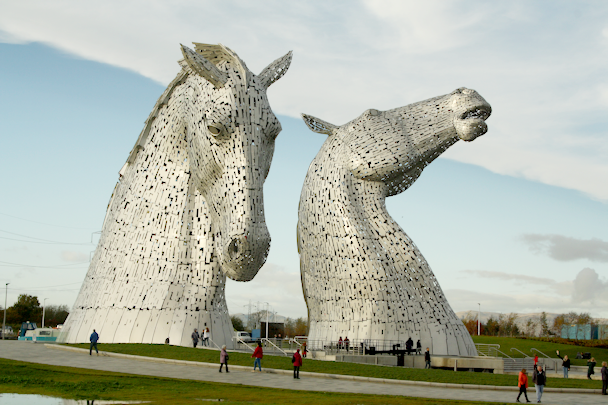 We also visited Helix Park, the home to The Kelpies- 2 massive horse structures commemorating the heavy horse of industry and economy of the area. We actually had a lot of trouble finding somewhere good value for money in the West area of Scotland, but fell across The Village Inn; a B&B style accommodation but what felt like a hotel. We paid £40 a night including breakfast and the room was really homely as you can see below. The bathroom also had a bath overlooking Loch Long which i definitely utilised! In Edinburgh we stayed outside of the city and got the bus in like many people recommended on TripAdvisor, as with a car it can be problematic and expensive. 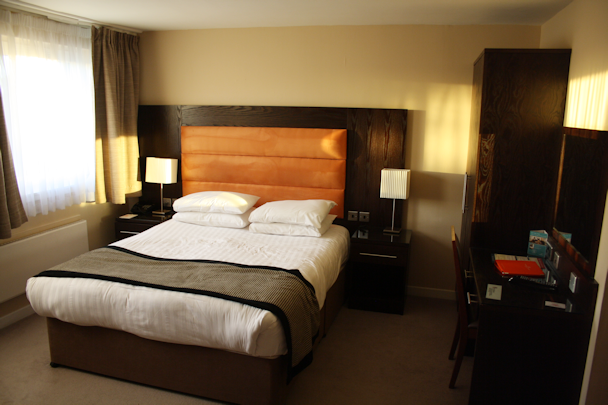 As we'd managed to find such a good deal at The Village Inn, we splurged a little in staying at The Capital Hotel but we thought it was also really good value for money. It was about £70 a night including a 3 course meal for two, but the rooms were huge, and also had a spa/pool/gym facility we used. The restaurant at the hotel- The Westview- also accepted the Taste Card (which allows you 2for1 or 50% off food bills) so we ordered dinner one night to the room as it was so good the previous night. Where do you recommend or want to go in Scotland? 1. 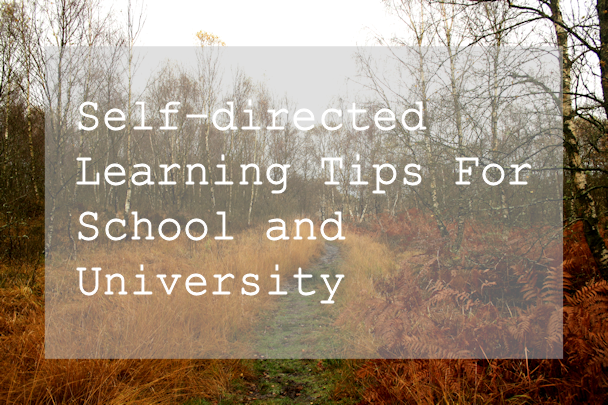 Work before going to university and utilise your long summer before term begins. Getting a summer job or organising employment before getting to university can really reduce the worry of overspending, especially during freshers week. I had a gap year before attending university and worked part-time for half a year before going travelling. After travelling I still ensured I had a cushion of money in my bank account should I need it during university. 2. Budget before going to university and have a grasp on how much you have. In the UK, this normally consists of a tuition fee loan, maintenance loan, maintenance grant, any other bursaries or scholarships and of course any money you personally have. The key to making a sensible budget is to remember that a loan is a loan, and not just free money. Work out how much money you have each week to play with, and come up with a suitable budget that leaves you with enough on the side for leisure activities, but that also saves a little bit in case there are any unexpected expenses. University is so expensive now that minimising the amount of debt you rack up is important whilst still making sure you enjoy yourself. These budgeting skills will help you so much when you leave education too. 3. Don't get sucked into bank freebies when choosing a student bank account. It's very easy to choose the closest bank to you, or the one offering freebies but make sure to do your research. Many of my friends dipped into their overdraft whilst at uni, so assess if this is something you're likely to do. If so, make sure you go for the biggest 0% overdraft bank account possible in case you run into money troubles. Ask yourself does the freebie such as a railcard make it worth getting a lower percentage bank account if you're likely to go into your overdraft? For some it is, and for others having a bigger overdraft is a necessity. 4. Learn how to cook and skip the ready meals as they're really expensive! Buying big batches of rice, pasta etc etc makes it a lot cheaper to eat as well as being way healthier. 5. Be shopper savvy and shop around for things. In third year me and my housemate Sam would often buy fruit and veg from the local market (which was waaaaay cheaper than any supermarket) and divide up things like big bags of peppers as we were both addicted to roast vegetables. And don't shy away from places like Poundland for basics like shampoo and kitchen roll! 6. Consider getting a part-time job to fund your student lifestyle. I actually didn't spend a lot of money at all at university, however I did have a car and insurance to pay and my maintenance grant wasn't all that big. I got a part-time job and worked only Sundays and the occasional evening and managed to pay for my weekly outgoings with it. During the summers I babysat when I was on holiday to fund petrol money and the cost of the ferry to France so I wasn't delving into my savings. I know a lot of my friends didn't have jobs during university, but they were able to ask for money when they needed it. Keeping as financially independent as possible is actually a really good lesson to learn at university and it prepares you for the "real world" afterwards. 7. Pre-drink and get water when you're out, trust me it saves so much money, as well as a hangover! I'd spend £4 on wine for predrinks and wouldn't have to spend anything else for the night. Tap water is always free in clubs, and they have an interest in making sure everyone keeps hydrated! 8. Ditch the fast food on the way home from a night out and have something you can munch on when you're at home ready. I often had chips in the freezer ready to cook when I got home which would also make me remember to down a pint of water! Some of my friends loved having toast, so would have that when they got in. 9. Share clothes instead of spending all that loan on the latest fashion pieces. Dresses and accessories often got circulated throughout our friendship group which saved a lot of money- especially on things you would only wear a few times. 10. Don't buy textbooks, just get them in the library. I had instances of people running to the library to get the books before everyone else, but with some books going for £20+ a pop, its worth the sweat! I became much better at this by my third year at uni, and often got the books out at the beginning of term ready to write my assignments as i knew once the deadlines started approaching there would be a mad rush for them. 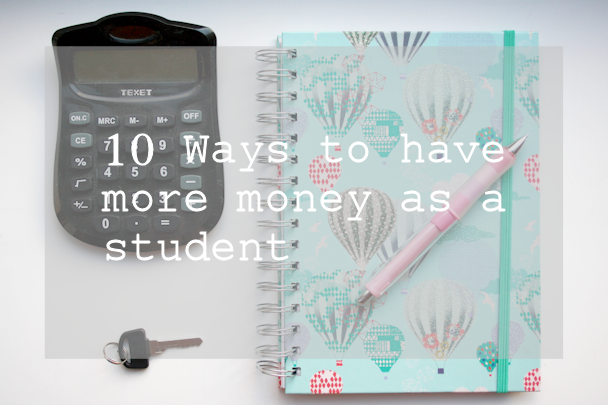 What are your student money saving tips? This is just a little post to say Nomad Notebook has officially moved to www.nomadnotebook.com! Although i haven't written many posts in the last couple of months, I've really enjoyed getting back into blogging and getting a domain was the next step for me. I'm keeping my fingers crossed that everything has moved across okay. Me and Mr Nomad love airbnb- a website where people rent out their homes for people to stay in. We have used it multiple times in different countries and have loved the ability to have a whole house with a kitchen (which saves us from eating out). It's also really nice to be surrounded by someone else's belongings like books; it really gives it a personal touch. This is our go-to when it comes to finding accommodation when we are planning a trip away. There are some real bargains, especially in big cities where you pay a premium for hotels, or in remote locations that often lack hotels. You can sign up now and get a $28 off your first stay through mine and Mr Nomad's referral code. 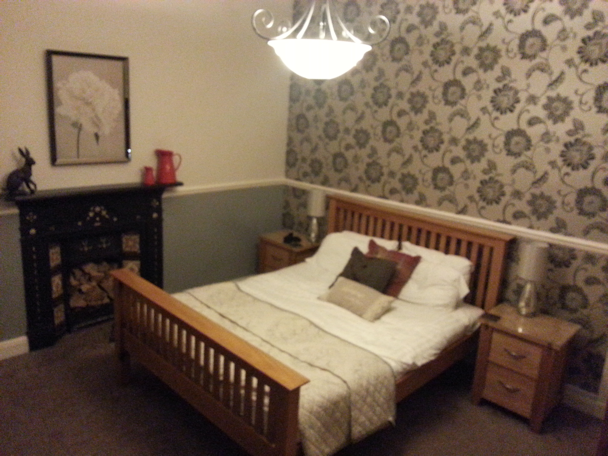 An example of a place we stayed in Ffestiniog, North Wales. 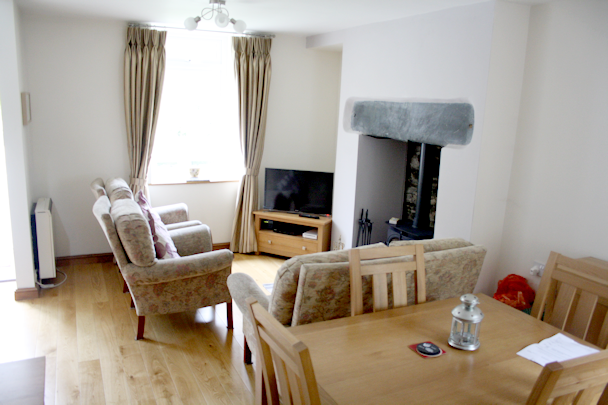 Such a cute 2 bed-roomed cottage and only £35 a night. Tripadvisor is another places we always check before we head to a restaurant, attraction or hotel. Whilst a restaurant may claim it is the best in the area, what do people who go actually make of it? Does a hotel actually look like the pictures that are on the website? Are there any tips when booking a hotel like asking for a room on the third floor with a view? Tripadvisor assists you with all of these questions. We have got into the habit of reviewing most hotels and restaurants we go to, ensuring we give credit where credit is due but also highlighting any improvements that can be made. Pinterest? I hear you ask, but yes- I always check here before we go somewhere. 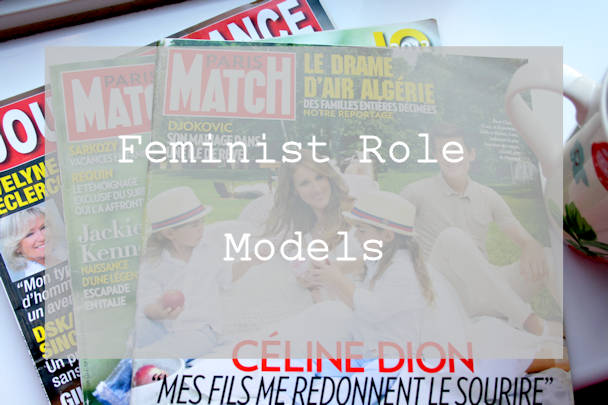 There's been a few places we discovered as a result of mooching on pinterest. Just make sure you check the places that are linked are accurate. For example, some pins have dead links or actually display somewhere very different to what the caption says. 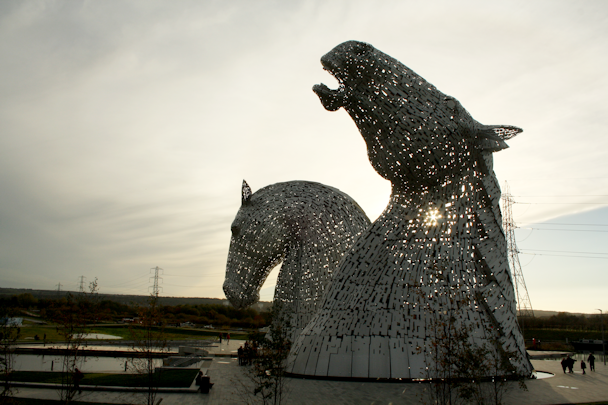 The Kelpies, Falkirk in Scotland. We found out about these via Pinterest. The best place I have found to find flights. This website compares and finds the cheapest flights to wherever you search, displaying accurate and reliable deals. Many sites displaying flight deals are out of date which can be so infuriating. Also with skyscanner there is the ability to view a whole month rather than putting in specific dates which is really handy if you're not restricted by particular dates and want to find the cheapest available flights within a month time period. If airbnb fails, then booking.com has been the best site for finding accommodation. Generally their rates are cheaper than others, but I do double check to make sure. Do you use any of these sites? 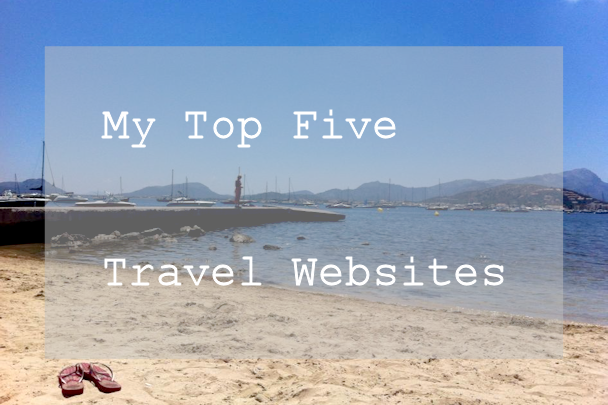 What travel websites do you recommend?